PariPlay shines at London ICE - Releases a new Flagship Slot! 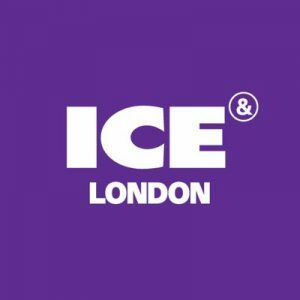 London ICE is a fantastic event for game providers to showcase their upcoming games! Indeed, every year, in February, industry professionals gather in London. As you know, the ExCel centre is where the conference takes place. And so game providers stand becomes the best place to discuss new trends. But this year, one game provider stands shined above others! In fact, PariPlay the casino gaming technology company captured everyone’s attention. Indeed, the company’s African theme stand to promote the new game Rumble Rhino sure was beautiful! And got a lot of traction because of that! Richard Mintz, Marketing Director at Pariplay, talked about Rumble Rhino with everyone who visited the stand. In fact, on several occasions, the Director expressed excitement over the new game. He even categorised the new release as a “flagship title for 2019”. What’s more is that in a few interviews the man also talked about the unique feature the upcoming game boast. To sum up, the slot has 100 paylines, a secret mask feature, colossal and Wilds symbols. Plus, it also promises to deliver big wins in the Free Spins bonus too! The Director is sure that the new Rumble Rhino slot will capture players attention! In fact, he thinks the exquisite design will make this game stand out above other desert theme slot. Mintz also didn’t fail to remind everyone that the new casino slot would be available in Britain from 13th March. Pariplay is a company that is making a name for itself in the iGaming industry. Indeed, since the company got a licence from the Isle of Man their games are becoming more popular. And because the game provider works with GamCare, it only helps the brand to earn the players trust. After such a performance at ICE, many more casino operators could offer their games. So keep an eye out for PariPlay slot at any of our casinos! Their games are available both online and offline! But the new Rumble Rhino video slot is an online exclusivity!